Please see the description below for Easter opening hours. The changing rooms and shower facilities remain open for a further 30 minutes after the gym closing. Alive do provide lockers that require padlocks, please bring your own padlock when possible. You must be at least 18 years of age to use the facilities at this club. 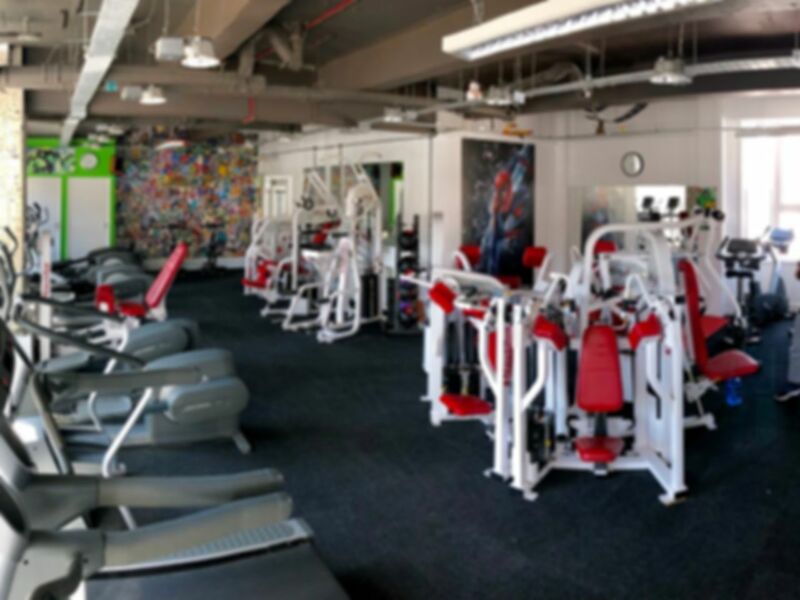 Alive Gym is a popular gym in a central Brighton a stones throw away from Brighton seafront, and 5 minutes walk from the main shopping centre Churchill Square. Operating independently, Alive gym with a very welcoming and warm atmosphere, inviting gym users of all experiences to come and enjoy their workout at the centre. Alive offers a great range of cardio equipment including bikes, X-Trainers and treadmills and a wide range of resistance machines. There is a dedicated stretching area as well as a free weights area with barbells, medicine balls and kettlebells available amongst others. Alive also has a studio,which when there is no classes on you can use the studio to dance, or use the various equipment on offer; please check with reception upon your visit if you would like to use the studio. The gym also has a sauna that all payasugym members are welcome to use. Alive has 1 therapy rooms offering treatments including osteopathy, sports massage, massage, among other treatments. If you would like to book a treatment please visit our Alive website and contact the individual therapist. Alive gym has many great gym reviews from customers highlighting the homely atmosphere of the gym and the great value for money it offers. Customers also enjoy the general atmosphere of this small gym and are pleased with the range of equipment. Alive Fitness and Natural Health Limited is conveniently located centrally in Brighton, a very short walk from Churchill Square and minutes from Brighton Railway Station, ensuring it’s easy to access. The centre also has a carpark for your convenience and there are many bus routes passing are area including the 5 (Hangleton-Patcham), 21 (Marina – Goldstone Valley) and 46 (Southwick – Coldean). Really friendly atmosphere and most of the staff were friendly too. Could have slightly more in the way of equipment but considering the space it’s understandable. Extremely welcoming and very friendly. The facilities were excellent and it was very easy to use my pass. Great friendly little gym, and a refreshing change from the bigger chain gyms elsewhere. They've managed to fit a pretty good range of equipment into the space, and had everything I needed to get a decent cardio and chest workout. The place was well organised, tidy and clean. very easy, effortless process. Access straightaway ! Very Brighton! Ultra friendly staff & great 70s music! Spread over many floors. Good, tidy equipment. Plenty of cardio machines. Not too busy in the evenings. Thank you for the feedback, very Brighton... I love it!